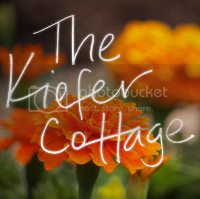 The Kiefer Cottage: No Playroom? No Problem. Once upon a time, I wrote about not having a playroom. And I accused myself of not loving my children enough to purchase a house with a dedicated play space. But I've had a bit of a problem despite knowing that playrooms are, well, not that necessary. While my children have managed to live without primary colored walls and furniture, I've gone a little looney tunes with all the toys everywhere all the time. Ahem. Not that I was ever crazy before. Moving on. About a two months ago, I told Ryan we were going to find some kind of storage solution that wasn't hideous, breakable, or plastic. And it wasn't going to involve ottomans (which we don't need) or overpriced pressed wood. Plus, it would be affordable. Apparently, that is asking for the world. I searched and searched online and found nothing but stuff that was on my "aw hell naw I can't accept that" list. You know the stuff I'm talking about. I won't post a picture for fear that I might be sued for slander. So I decided that perhaps I'd prefer to find something at the vintage furniture markets where I found my dining table, my TV console, my kitchen hutch and table, and various other things I adore. I really love this hutch. It's not a fine piece (hence the holes we punched in the back for the electrical wiring), but it's solid. It was going to be my inspiration for finding toy storage. The only thing missing was hidden space. I wanted doors and drawers, if possible. But the universe smiled down on us and kept me from having to search for months for the right piece. My friend Kathleen (known her since high school) emailed me, writing that an upcoming move meant she had furniture to unload, and she thought I could use it. So I wrote back, saying I'd need detailed photos, measurements, and appraisal documents to see if these pieces were worthy of The Kiefer Cottage. Or maybe I just said "YES I'LL TAKE IT ALL" sight unseen. It's a small wardrobe, part of a bedroom set (two more pieces of which also were given to us). And look at the inside! I can store costumes AND toys. A dedicated drawer for dollies, princesses, and magic wands. Space on top for hats and ugly portraiture. Space under the costumes for Drew's many "Tuks". And now the old toy corner has space for a chair and the costume accessories trunk (which will be painted some day. Probably not soon. I need to talk about it for at least another year). So think outside the playroom and ugly kids' furniture box if you're feeling overwhelmed by toys. We don't even own a ton of toys and it was getting to be too much, so I understand (BTW if you haven't done the before Christmas toy purge, I highly recommend doing it now.) I needed it all put away, especially since the kids' rooms don't have a lot of space for their things. I'm feeling less crazy these days, and it's not all due to the holiday desserts I've been eating. This lovely wardrobe helped save the day, too. Thanks, Kathleen and Shane, for your generous gift (they even dropped it off at my house). It's been a pleasure adding it all to our motley collection of furniture. I'm linking up to Miss Mustard Seed's Furniture Feature Friday. That wardrobe is amazeballs. I want it for me and my clothing needs. That's a very clever idea! Much better than hideous plastic storage containers. Nice! We'll be needing to rethink toy storage soon. There's very little space in my daughter's bedroom, so all her toys are in the living room. Luckily we've been able to keep it pretty minimal so far. you're speakin my language with hiding the clutter behind closed doors! bravo! 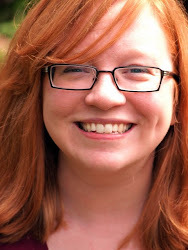 I really like your blog and I've nominated you for the Liebster Blog Award. The information about it is available in todays post on my blog. Hope you're having a great day! Wow, those are awesome pieces of furniture! I'm a bit jealous!